Microsoft announced a licensing agreement with smartphone manufacturer HTC this week. While the overt message is that Microsoft is going after Android, it seems like Microsoft may be coming to the defense of HTC and firing a warning shot across Apple's bow. Neither Microsoft nor HTC is sharing details regarding the specific patents being licensed or the financial terms of the arrangement, but the implication is that Microsoft feels that smartphones based on Google's Android OS--like the Nexus One and Incredible handsets from HTC-- infringe on some of its intellectual property rights. Horacio Gutierrez, corporate vice president and deputy general counsel of Intellectual Property and Licensing at Microsoft explained via e-mail "Microsoft has a decades-long record of investment in software platforms. As a result, we have built a significant patent portfolio in this field, and we have a responsibility to our customers, partners, and shareholders to ensure that competitors do not free ride on our innovations. We have also consistently taken a proactive approach to licensing to resolve IP infringement by other companies, and have been talking with several device manufacturers to address our concerns relative to the Android mobile platform." Gutierrez also stated in a recent blog post commenting on Apple's patent infringement lawsuits against HTC "The smartphone market is still in a nascent state; much innovation still lies ahead in this field. In all nascent technology markets, there is a period early where IP rights will be sorted out. This is particularly true in a market, such as smartphones, in which a number of different technologies previously offered on a standalone basis now converge into a single device." "Indeed, smartphones are a product of the ‘open innovation' paradigm--device manufacturers do not do all of their development in-house, but add their own innovations to those of others to create a product that users want. Open innovation is only possible through the licensing of third party IP rights, which ensures that those who develop the building blocks that make a new technology possible are properly compensated for their investments in research and development. After all, technology just doesn't appear, fully-developed, from Zeus's head. It requires lots of hard work and resources to create," continued Guiterrez. I respect Gutierrez' authority as an expert in intellectual property rights, and he makes valid points. Where it gets a little foggy for me is the fact that Microsoft and HTC have a long-standing relationship, and at face value the technology underlying the Nexus One or Incredible doesn't seem that much different than the technology behind the Windows Mobile-based handsets from HTC such as the Touch Pro-2. So, why now? While HTC has embraced the Android platform, it has a history with Microsoft. The reality is that HTC is almost single-handedly responsible for whatever success Windows Mobile has experienced up to now. 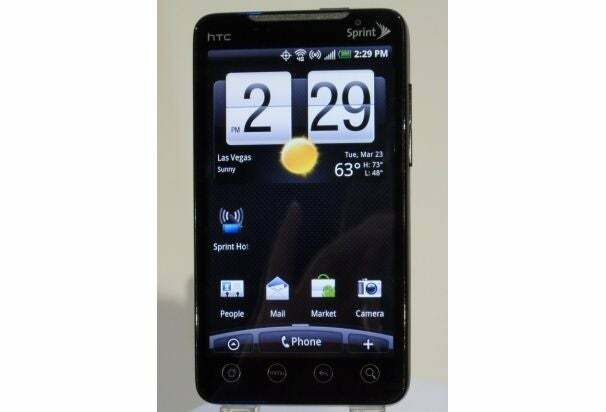 As capable as the Windows Mobile operating system has been, HTC provided innovative customizations, and a unique experience that made it better. Granted, Microsoft is not a friend of Google, and I have no doubt that Microsoft would aggressively pursue defending its intellectual property rights against the Android operating system. It appears to be doing so, and other Android-based smartphone manufacturers are probably either already engaged in talks with Microsoft for a similar licensing agreement, or waiting for the phone to ring to get the conversation started. But, the pre-existing relationship between Microsoft and HTC, and the sort of overlap and redundancy apparent in many of these smartphone technology patents suggests that Microsoft is sending a message to Apple at the same time: "If you want to challenge HTC, you're going to have to deal with Microsoft as well." The patented technologies are probably similar, and HTC can defend its position against Apple by pointing out that it is using legally-licensed technologies from Microsoft. I agree with Gutierrez assertion that the technologies that make up the backbone and framework of smartphones and that there is some negotiation that has to go on between the various parties to ensure intellectual property rights are respected. However, it seems like it would be beneficial for the parties involved, as well as the smartphone and mobile markets and their customers, if the various entities could work out arrangements as Microsoft and HTC have, and leave the courts and the International Trade Commission out of it.